Today for lunch, Adelaide Food Central was invited to the iconic Base Bar on the Norwood Parade to check out their latest seasonal menu. Located next to the Bath Hotel, Base is a casual eatery with a large range of share plates, pizzas, salads, desserts and an extensive drinks list. Base has a funky and unique interior including a two hundred year old Egyptian carved door. If you are just after a casual drink, something small to nibble on or a substantial meal, there is something for everyone. Chef Josh De Haas has crafted each element of the Base menu to create unique and authentic flavours. 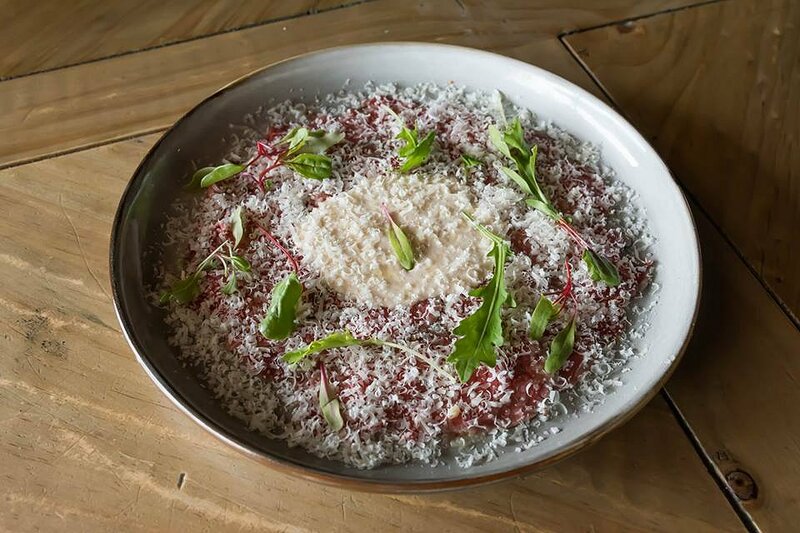 We started with the Beef Carpaccio – Thinly sliced beef, tuna aioli and parmesan. Usually beef carpaccio offers light flavours, but this dish was the opposite. The subtleness of the thinly sliced beef was a contrast to the strong flavours of the tuna aioli and parmesan which made for a tantalising dish. 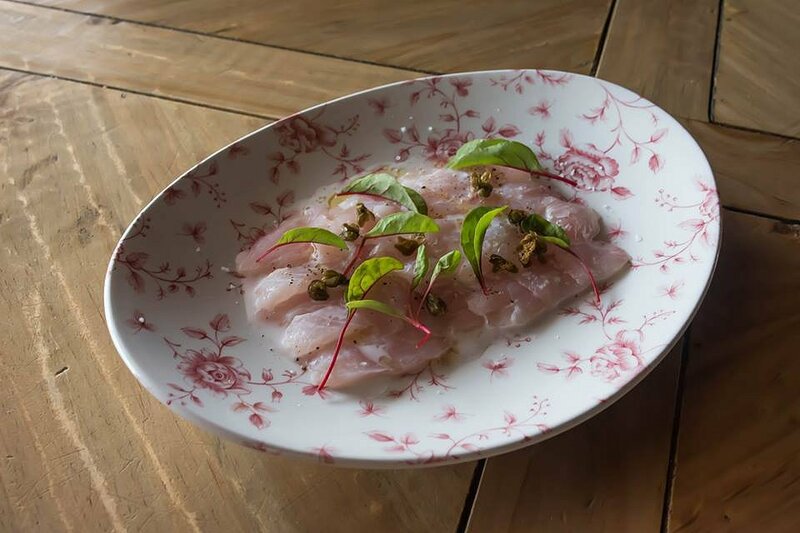 Next was the Red Snapper Crudo – capers, coconut cream, and lime dressing. The spicy caper balanced well with the tartness of the lime dressing. The silky smooth texture of the fresh snapper was complemented by the coconut cream. Fish that isn’t fresh can often give off a fish odour. Not so with the delicious slices of snapper. 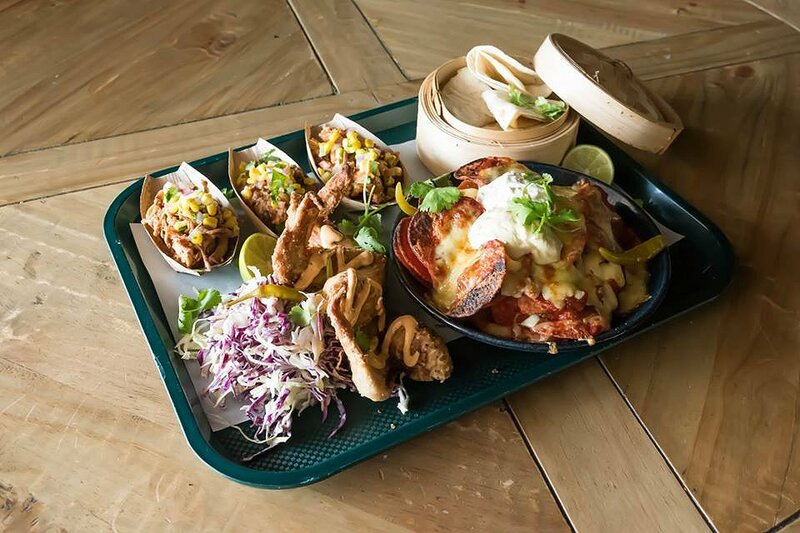 One of the standout dishes was the Shared Mexican Plate – Guacamole, sour cream nachos, DIY taco and fried chicken wings. What an absolutely sensational dish this was. If I had to recommend anything, this dish would be the one. The corn chips that were used for the nachos were coated with chilli and lime, making it almost impossible to stop eating them. The corn chips were topped with cream cheese and coriander giving them a creamy and authentic taste. When we did not think this dish could get any better it did, bring on the DIY tacos. These tacos consisted of three meats; chicken, pulled pork and mince. Soft tacos were provided with the meats so that you could pick and choose what filling you desired. Each and every meat has been seasoned so authentically I felt I was actually eating in a Mexican restaurant. The third element to this dish were the fried chicken wings. The wings had been lightly battered, and provided a crispy, crunchy texture. Continuing the Latin theme was the Spanish Paella – Pulled chicken, chorizo, Goolwa cockles, and green peas. 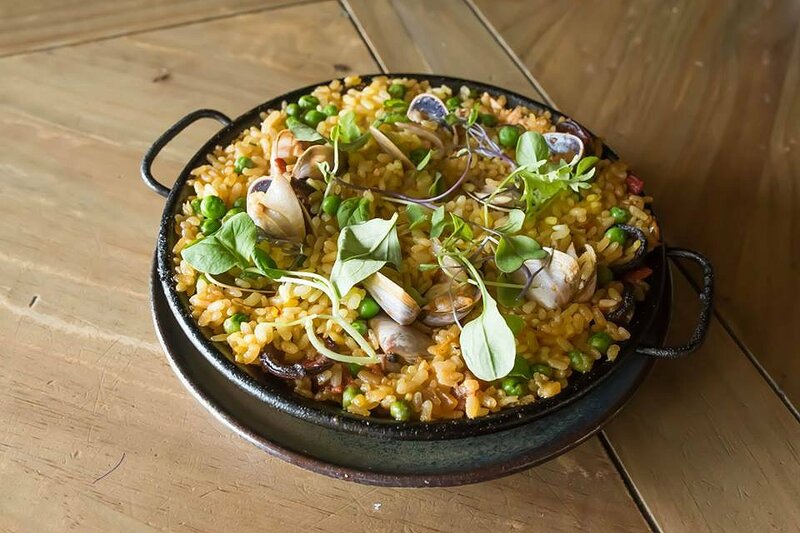 The Spanish paella was another sensational dish that was presented on the menu. The beautifully fresh Goolwa cockles combined well with the pulled chicken, and when combined with the chorizo, made for a heavenly dish. The rice was perfectly cooked and all the flavours combined rewarded us with gorgeous smokey flavours. Of course, you can’t visit Base without having one of their pizzas. The pizza of choice today was the Proscuitto – roma tomato, olive, rocket, shaved and parmesan. You would think with a name like Base they could make a good pizza base, and they did. The base was not too thick and not too thin; just right. There was a perfect distribution of topping on each slice and they were generous with the amount that was put on. 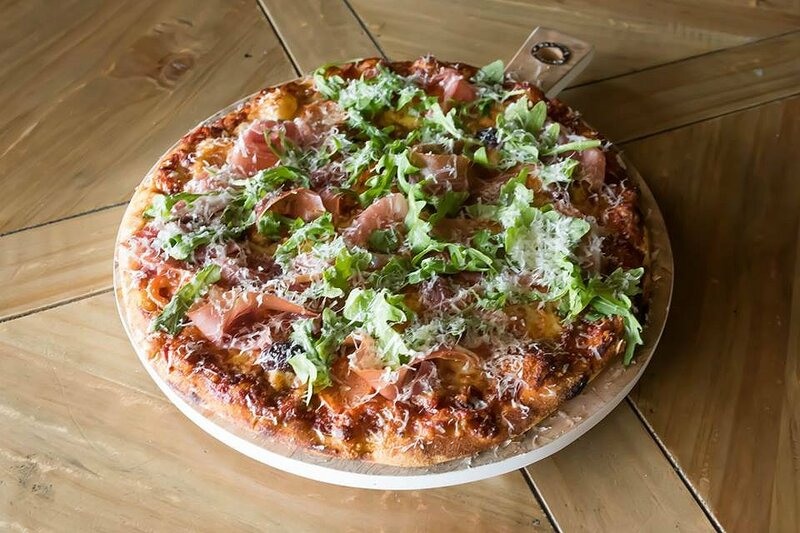 The fresh rocket combined with the salty prosciutto, olive and parmesan made a beautiful pizza. 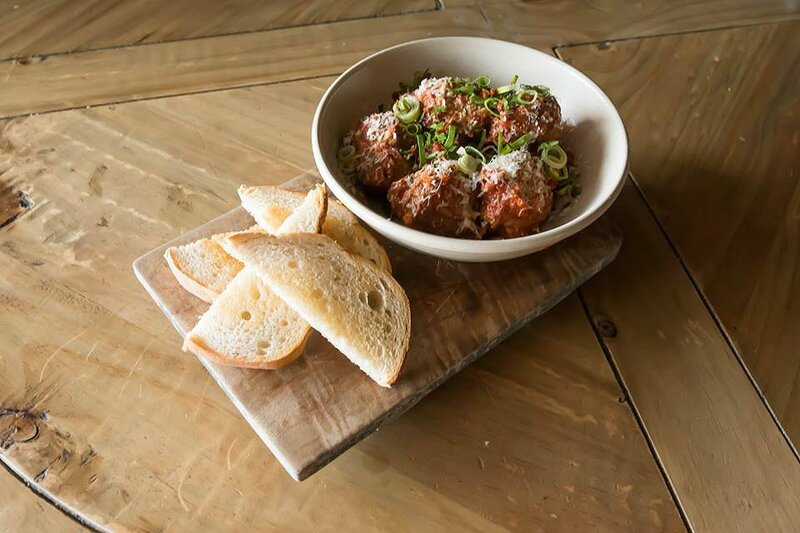 Moving with the Italian theme was the Wood Oven Roasted Veal Meatballs – Jalapeno, cream cheese, tomato and crusty bread, brought out many authentic Italian flavours. Even though this meatball was slightly different to the traditional Italian meatball it still bursted with flavour. The strong seasoning of fennel paired well with the beef mince. Crusty bread was also provided to soak up the rich tomato sugo that accompanied the meatballs. 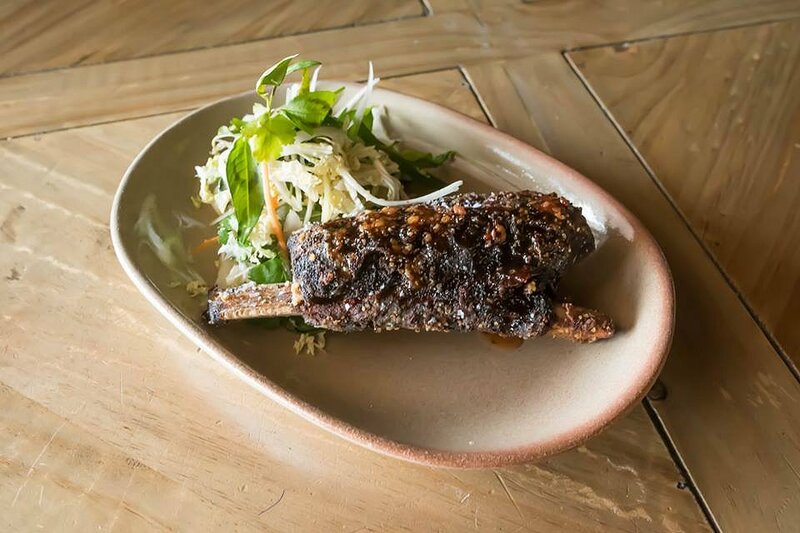 One of the dark horses on the menu is the Crispy Fried Beef Rib – Yoder smoked, sticky plum sauce and Asian salad. If you are a meat lover then this is the dish for you. This beautifully Yoder smoked beef rib paired with a sticky plum sauce is one for the tastebuds. The beef was crispy on the outside and tender on the inside, served with the light Asian salad it was a mouth watering dish. Try it, you won’t regret it! To accompany the mains we had the Sweet Potato Fries. I sometimes find that sweet potato fries can become soggy easily and have minimal flavour. But these crunchy fries were to die for. 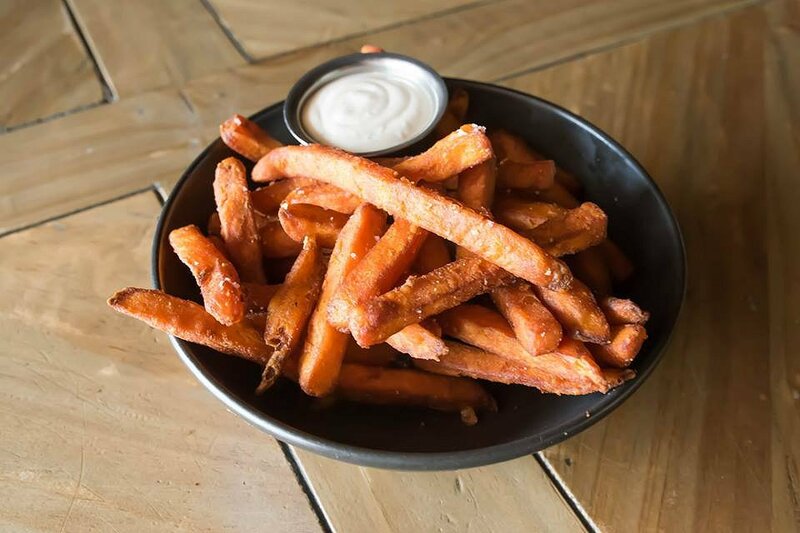 The sweet, sweet potato flavour was complimented with the tangy garlic aioli and salt. 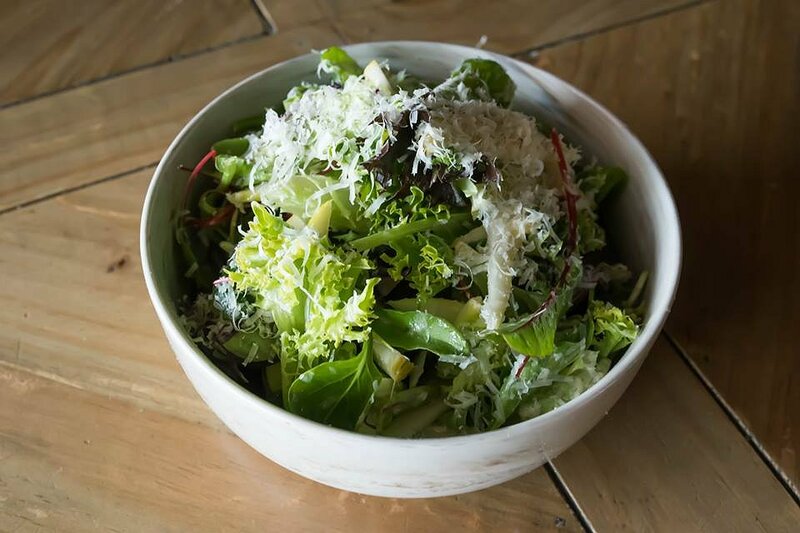 Everybody also needs greens in their diet so cue the Pear and Parmesan Salad with white balsamic dressing. Some say you don’t make friends with salad, but this salad can be my friend. The dish was very simple but beautifully fresh and enjoyable. The sweet pear, combined with the crunchy lettuce and strong parmesan was the perfect combination. Base Bar is open from Tuesday to Thursday 5pm-Late and Friday to Sunday 12pm-Late. We would like to thank Chef Josh De Haas and his team for having us and introducing us to yet another fabulous menu.